Guy fixed my 55″ LCD five years ago and still going strong. I’ll take my next fixable tv issue to him. Good news and bad news for my TV. Good news is that John was in the area when I called and was able to come to my home quickly to diagnosis the issue with my TV. Bad news he was not able to fix my TV. I had previously tried to replace some key components/boards myself. While he did not “test” any of my components/boards to verify they were bad, he provided his professional opinion on what to try next. Atleast he did not excessively charge me for his time and did not try to upsell some bogus diagnosis with no results. Old School Service with amazing ‘fix-it’ ability. Wonderful! Faced with replacing my favorite circa 1988 Mitsubishi MGA television when it failed to hold picture after 30 years of faithful service; I figured like most folks a new set was the way to go. Buying a top of the line Samsung flat screen and bringing it home to install; I was four hours into the process,(having run through the on screen menu 16 times), without getting my scanned channels to work. Assured by the 20 something year old sales-dude that it was “out of the box ready to go, even for an old coot like me”; I returned the thing and rethought my position. After all. Are there no Television repair shops in the Valley? Getting Mr. Hao on the phone, he was not only professional and knowledgeable with the brand; but was quite reasonable with his price quoted to restore the set. Making a house call the following morning @ 10am,(FROM SANTA ANA to Sherman Oaks! ); the technician was right on time and came armed with two big red tool boxes full of tubes, replacement boards, and the tools of his trade to mend the Mitsubishi. Donning a pair of magnifying goggles that would make a watch maker jealous, cotton gloves, and an endless supply of dust off; the Television doctor took apart the set in a matter of twenty minutes. Calling me back into the living room(our operating quarters for the surgery); he proudly stood by the most perfect picture I had ever seen; better then new the day I bought it. The clarity, contrast, and edge to edge focus was as good as it gets. Replacing the Television to its rightful perch in the bedroom, I had the wonderful feeling of not only having back a familiar piece of our household; but I spared the Universe of more electronics waste and knee jerk buying, as well as using a company as great as Hao’s Service. I would highly recommend this company. From honest estimates to top of the line technicians, this is the real deal. Restored my faith in the concept of fixing something first; and the handy folks who can do it. I shudder to think of a world were the mechanically gifted are no longer employable or appreciated. Use Hao’s Service. You will not be disappointed. My experience with Hao’s TV repair was very good. My tech was knowledgeable and honest. I whole hartedly recommend Hao’s TV to anyone for a great experance. New customer @ hao’s tv repair . Very happy with service . Great communication . Fast and honest. TV started acting up (sound no picture) on Saturday evening, looked up TV repair on yelp and found Hao’s. They said service 8:00a.m to 8:00p.m Monday thru Sunday. It was 6:30 so I gave it a shot and left a message. 5 minutes later Hao’s called. Sunday at 9:45 am Quincey was at my door. He came in and went right to work and 10 minutes later found the problem. He gave me a quote, I said go ahead and fix it, he went to his truck and got the part, hour later I was thanking him as he was leaving and I started watching the game. My Panasonic TV ( PT 56HX41PF) suddenly shuts down Saturday, Sept. 20, 2014, the TV (LED Light starts ‘ Blinking 5 Times..Pauses…Then ‘Blinks again 5 Times’. I’s a (Power Supply Error) I had 2 years ago. I called previous TV Repair Man, who told me He had sold his business. I was now in a state of panic. Then I went onto internet and Googled for TV Repair business near me, and went to the Yelp.com website and found ( HAO’s TV). I called (HAO’s TV) Saturday evening, and he said that he would come to my house the very next day , and repaired my TV Sunday, Sept. 21, 2014. My Panasonic TV ( PT 56HX41PF) was repaired perfectly, and Hao’s TV repair company not only worked fast, but was very courteous, and nice , and professional. He even gave me a great deal on the repair price. I’m more than satisfied, and very appreciated of the very Great Customer Service, and will always called ‘Hao’s TV’ again. I called back and he more than made up for the bad start. My TV was FUBAR anyway but he showed up and was a very nice guy. Great job to Quincy ! I fixed my TV because of his customer service. Thanks so much for sending Quicy to check and repair the problems with our Mitsubishi projection TV. The picture now is better than when we first purchased the TV several years ago. We really appreciate the prompt and professional service. Good morning Mr. Hao, I would like to first thank you for your fast response within several hours of my initial phone call. I found you through the Internet and was very impressed with your service reviews..Your calm and friendly demeanor immediately put me at ease. You immediately asked pertinent question and soon had a diagnosis..you were fair and reasonable with your quote and very confident that the tv would be repaired..you worked quickly and within the hour my Mitsubishi big screen was worked like new..I will keep your card now and thank you for your honesty and hard work! Hao’s TV was responsive, returned my call immediately. My TV kept blacking out, he arrived on time and attempted a fix for a surprisingly reasonable fee. He said that if that did not work then it would need a mother board but said that given the age of my TV, he would recommend I buy a new one instead of the costly replacement of the mother board. It did not work so I bought a new TV, blu ray and receiver. I liked him so much that I called him and asked if he could install my new equipment. He picked up my new equp at the store, installed it all and at my request, removed my old equipment. Again, for a surprisingly reasonable cost. He is one of the nicest guys, very honest and someone you can count on. I highly recommend him and would use him again in a heartbeat. Hao’s TV Repair provided good service. They came to my house twice to diagnose the problem and took whatever it take to fix and adjust my 65″ DLP TV. Courteous service and very trustworthy. I will use Hao’s TV Repair again and highly recommended. John, please feel free to use this testimonial . Thanks again for your assistance and Happy New Year. John, the owner of HAO’s Repair, answered my call for service on Christmas Day and came to my house to diagnose the problem that evening, at my request, though it was a holiday. I had bought a Wii for my 6 year old as a holiday gift and had just tried to connect it to my very expensive Plasma TV. Somehow I managed to cause my TV to stop working. Thinking I had shorted it out, I was desperate to learn the severity of the damage quickly so, if need be, I could get a replacement set immediately. I knew my daughter would be disappointed if she wasn’t able to try out her new gift. John came to my house exactly at the time we arranged and, in short order, had my TV working and the Wii connected. He was clear about his pricing both on the phone and at my house before doing the repair. He was able to make the repair on the spot (a minor miracle in and of itself) and his $150 charge minus a promised $20 discount was very reasonable. He was polite, courteous and a pleasure to do business with. I have already recommended him to my friends and highly commend him to anyone in need of a great repair guy. Our 7 year old Panasonic TV stopped functioning. We searched the Internet for a local repair shop. 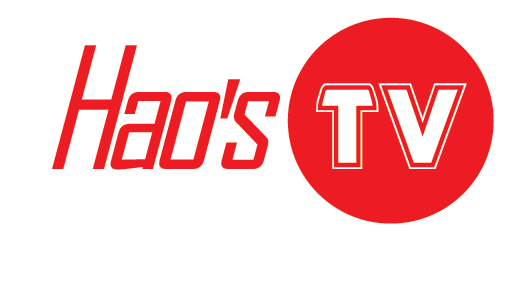 We decided on Hao’s TV Repair based on Mr. Hao’s background and advertisement. When we called, the owner himself answered the phone. We provided the TV model number and told Mr. Hao, we thought that the lamp needed replacement. He gave us a quote and came out within a few hours. He took care of the problem and did not try to con us into extra repairs. The TV worked like a charm. We find Mr. Hao to be efficient, honest. He arrived within the one hour timeframe that he promised which in our books tops many other service companies. We highly recommend this TV repair place. Incidentally they also repair iPhones & iPads. was running like new. He is very prompt and professional. He is very carefull as to not to damage anything in your house. I highly recommend Hao’s TV. I just wanted to say “thank you” for such good service. service was very fair – I was ready to get rid of this T.V. I will recommend your company to my family & friends.. Replaced power circuit board. He took the board and returned in 2 hours and the TV was up and running.Overall a good experience. I wanted to take the time to thank you for assisting in the repair of 3 tvs that were damaged during a recent move. The fact that you were able to order, receive and replace the trim for all three tvs within a week is amazing. I will use (and would highly recommend) you for any tv repairs that come up in the future. I want to thank you for your prompt service. Quincy was very nice and professional. I will highly recommend your Service Co to my friends and neighbors. My Mitsubishi Diamond Star TV was repaired promptly. Many thanks to HAO’S TV. Your repair of my TV was outstanding! Thank you!! If anyone needs a TV repair service, I recommend Hao’s Tv Repair without hesitation! John was respectful, timely, experienced, knowledgeable and his cost is extremely fair. Our Big Screen went out due to a power outage and it was SuperBowl Sunday! He promptly returned my call and was in our living room repairing our tv in no time. He also cleaned and adjusted the inside, making our HD picture even better than before. Do not use anyone else to do repairs to your HD, Plasma, Big Screens, etc., John is the only one to call and first one to call! Thank you so much for your excellent service! The Superbowl festivities went along without a hitch and his work is guaranteed. Wonderful man! I wish to commend John (Hao) for his very excellent skills and manner in which he addressed, diagnosed and then directed an unused solution for our 65″ Mitsubishi HDTV. It was a very tricky problem and he very methodically applied a step by step procedure which lead to the perfect solution. It even involved solving issues with Cox, the service provider, that John so carefully prepared me for, so that I was able to direct the Cox repair man to provide the necessary adjustment that John had predicted. John has a very professional manner that gave us a wonderful experience with getting our TV back on the mend. I am sure that without his help I would have spent much more money to resolve our problem. John may use me as a reference any time he wishes. For anyone needing television repair service, I highly recommend Hao’s TV. For anyone needing television repair service, I highly recommend Hao’s TV. His service is fast, timely, and reasonably priced. I hope that I won’t need any future repairs, if i do will be sure to call Hao’s TV. Overall, it is excellent service. I want to tell you how much we appreciate your being able to fix my mothers TV(Alma Karl). Everyone told us to buy a new one, but she is old and they are too complicated for her. The nice man who fixed it was very patented & ever made her do it herself to make sure she knew how to use the remote for her TV. P.S. The yellow pages ad was very effective! MY 47 INCH PANASONIC PROJECTION TELEVISION WOULD NOT TURN ON. I HAD A REPAIR TECHNICIAN OUT TO EVALUATE THE PROBLEM. THE TECHNICIAN WAS VERY NICE. HE DIAGNOSED THE PROBLEM. THE COST OF THE REPAIR WAS MORE THAN THE VALUE OF THE TELEVISION, SO I DECIDED NOT TO REPAIR IT. THE TECHNICIAN GAVE ME SOME GOOD ADVICE ON BUYING A NEW TV. I FELT HE WAS AN HONEST & TRUSTWORTHY MAN.